i was wondering what you thought about this rifle. 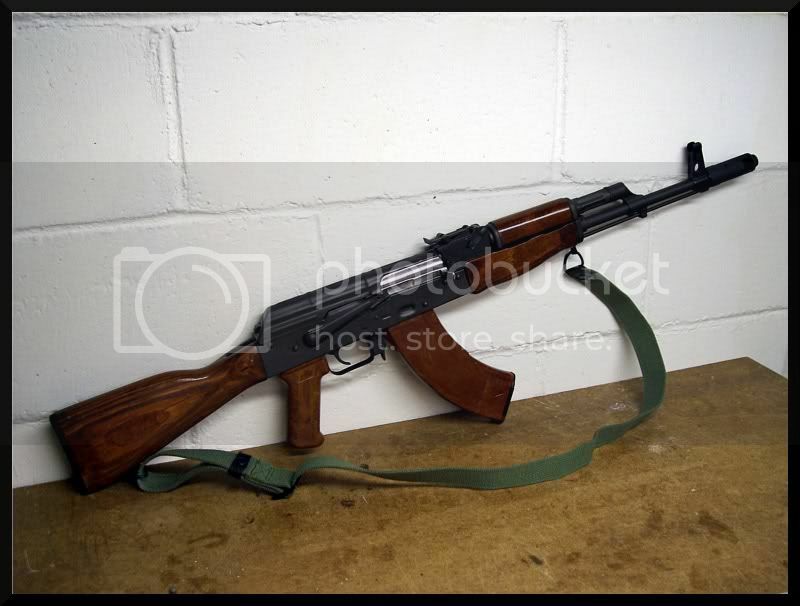 im looking for an AK-47 under 500 and this particular one im looking at has black tapco stock and tapco trigger. gun shop by the house has one for 439.00. i just want one for plinking. pro's and con's. thx.. Mine is pretty decent. Front site is canted a bit but it has been totally reliable. Got bad vibrations off the Tapco stock and it always bit my face a bit when shooting. Put a wood stock on it now and a '74 brake and it shoot wonderfully. The G2 trigger is very nice. Accuracy is less than great and the barrel isn't chrome lined. But yeah, buying anything Century is a bit of a gamble. To me, Century guns are cheaply made, cobbled together toys that can be tuned into decent guns. If you can inspect it, and the gunshop is reputable, I'd get one just for the fun of it. Fwiw- I've seen Arsenals at gunshows lattely for like $600. Have fun with whatever you end up buying. "An angry prophet, denouncing the hypocrisies of our time"